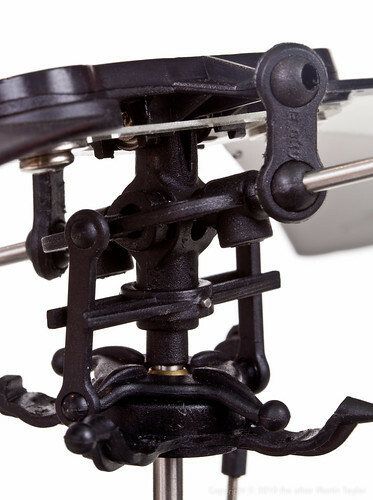 The Self-Confessed Geek: Adventure in RC Helicopters: Are We Having Fun Yet? Adventure in RC Helicopters: Are We Having Fun Yet? I gave up on waiting for xheli to get a working battery to me for my Honey Bee V2; I know they're super busy in the run up to Christmas but it was incredibly frustrating to have my helicopter in-hand but not be able to fly it. I ordered a couple of spare batteries from another supplier. I wish I could tell you that experience was better but I ordered what was advertised as genuine eSky batteries but I received generic, un-badged batteries.They were about half the price of the eSky batteries from xHeli and I couldn't be bothered to go through another round of emails and returning an order so I've kept them. At least they took a charge. While I was looking into batteries I got all paranoid about LiPo batteries failing and burning down the house. The RC forums seem to be littered with tales of LiPo batteries failing and either exploding or catching fire for no good reason. To protect myself and my home I bought a LiPo charging bag. That's a fancy name for a fire-retardant bag you but the batteries in while they're charging, and when they are charged, so that, if something does go wrong and there is a fire or an explosion, it remains safely contained. Word to the wise: don't put the charger itself in the bag. I did the first time and the charger must have over-heated because its lights were flashing some combination that wasn't even deciphered on the badly translated key. After being left to cool it seems to be working fine again now. I knew that, being older, I would find learning to fly a little tougher than your average teenager weened on video games so I decided to follow Radd's School of Rotary Flight. He subscribes to the slow-but-steady school of thought. Basically, you keep the helicopter on the deck and learn the controls before you even try to hover. In theory it's the best way to learn; in practice it's dull. You have to expend 9 batteries worth of flight time without ever leaving the deck. Movements outside a 1 foot square constitute a 'crash' with the punishment of having to reset everything if you stray outside that area. I thought this was supposed to be fun? One obstacle I found was that the manual gives bad information about setting the slide switches on the transmitter to setup the mode and orientation of the controls. For mode 2 it describes setting the aileron = 'down', elevator = 'up', throttle = 'down' and rudder = 'up'. I found on my example the aileron and elevator switches had to be set the opposite way than the manual describes. After discovering that the controls felt a little logical at least. The other obstacle I encountered was that the helicopter always wants to slide left which makes the ground exercises tricky unless you hold the aileron stick hard to the right much of the time. The simulator does a poor job of representing this effect. This drift is especially pronounced on a low friction surface (like the tiles in my kitchen) and the helicopter skates and drifts all over the place as soon as the skids get remotely 'light'. It seems that the helicopter starts to drift before the cyclic controls have any effect on direction. All of which just encouraged me to race through to that 10th battery when you are actually allowed to leave the deck for the first time. It is fun to see your helicopter in the air for the first time. It's less fun to see its first crash. Controlling movement in the air turns out to be very different from making the helicopter scoot across the kitchen floor. For one thing the movements on the stick have to be way more subtle. For another, there's no breeze in the kitchen. Even when it looks totally still outside I'm learning that there is wind movement pushing your helicopter out of your control. Which leads to your first crash. I say 'crash' but that is something of an over statement; 'heavy landing' is more accurate. I was over soft ground with the training gear on when a breath of wind pushed the helicopter behind me and threaten to topple it over. I was only three feet off the ground so I did what any beginner would do; I panicked and cut the throttle. I must have come down pretty hard through because the blades weren't level after that and spinning them up caused them to clip the tail boom. It's a scary thing to see your new toy bent out of shape although it turned out that I'd just popped a bearing out of the center hub. It didn't take long to diagnose or to fix. Harder to diagnose was a transmitter 'problem'. 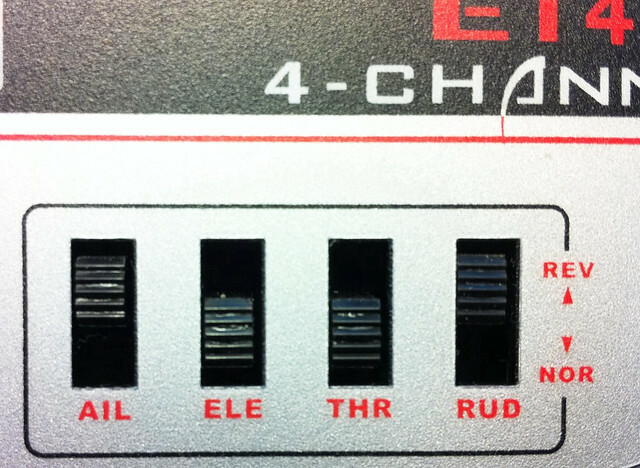 The ET4 transmitter has Voltage Indicator lights and the manual says "When the last light turns red and flash, the dry batteries are in low capacity and need to be replaced". Either the transmitter eats batteries or the batteries that shipped with it are crap because, after playing on the simulator a bit (the transmitter has to be turned on if you're using it as your controller) and my 10 helicopter battery cycles the transmitter's bottom two lights (red and yellow) were the only two lit. 'No problem', I thought. 'I still have some time left before I need to change them according to the manual.' Wrong! 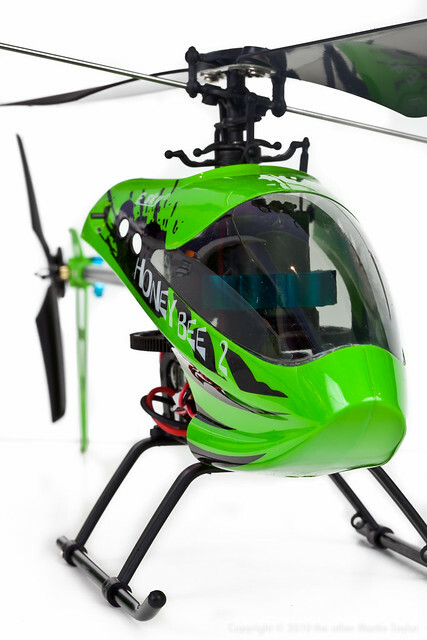 With the green lights out the transmitter won't bind to the helicopter. As this coincided with my 'heavy landing' I saw the transmitter having no effect on the helicopter and assumed the worst - that I'd burnt out the 4in1. After much fretting and fiddling I tried fresh batteries in the transmitter and all was well again. So that's where I'm at. I still can't fly but, given enough room to drift around I can hover ... a bit... a very little bit. I've found the manual and simulator to be inaccurate in places. My helicopter is no longer virgin - it has some dirt and scuffs on it but I haven't had to use any of the spares that I ordered yet. To answer my original question, yes, we're having fun already even though I've got a long way to go. To charge the helicopter,connect the helicopter to transmitter.There is wire with plug from the life hand side of the transmitter.Turn on the transmitter and red light bright indicates that the helicopter is charging.You can also charge using the USB cable.And more..